This Planet Fitness Free Android Smartphone Offer post is sponsored by Planet Fitness and I was compensated for my time in creating it. Looking to get into shape for the New Year but trying to decide which gym to join? Planet Fitness has an amazing offer for new members. 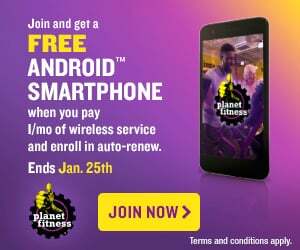 Planet Fitness now has a promotion that you can get a free Android smartphone if you enroll/join online by Jan. 25 and we’ve got all the details. If you remember in our lost post we talked about the Planet Fitness Judgement Free Campaign. 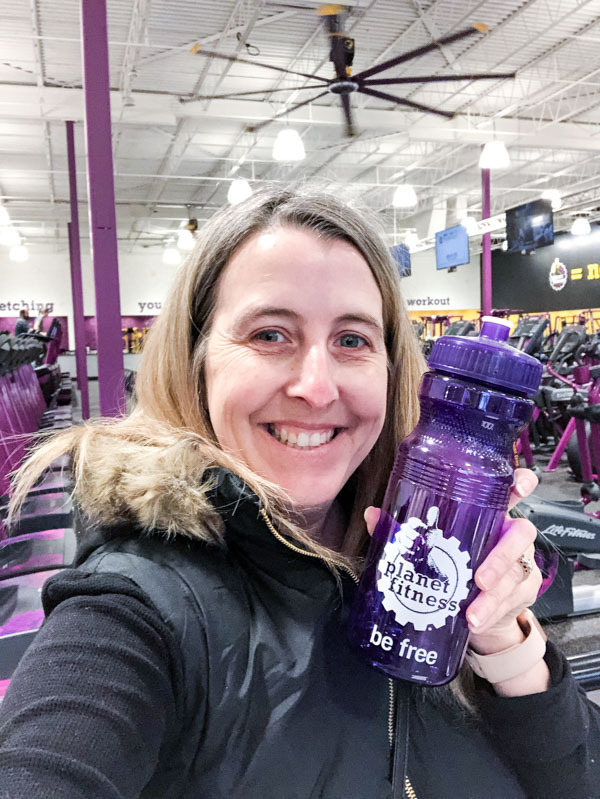 The Planet Fitness Judgement Free Campaign is all about “getting down with your judgement free self,” inviting everyone to simply live your truth and celebrate who you are. They cater to the every day person vs. other facilities who focus on body builders . What does Planet Fitness have to offer? 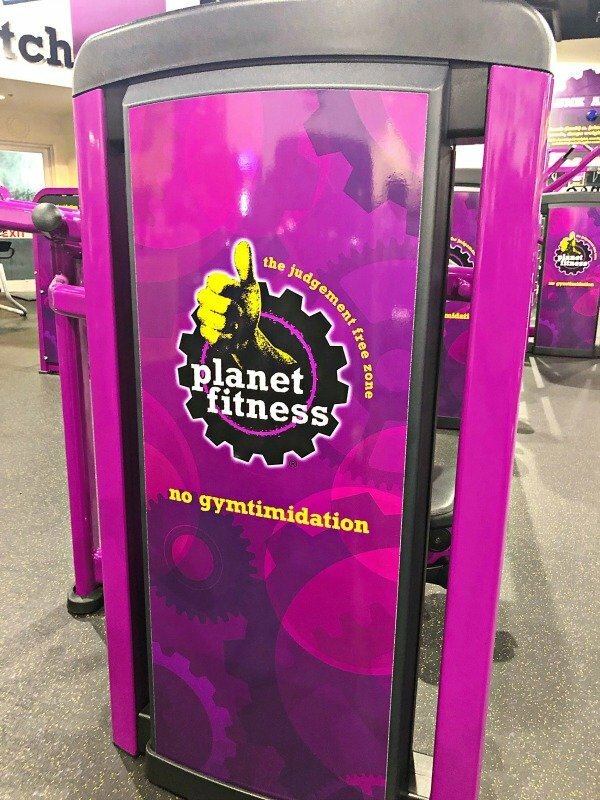 Planet Fitness provides members with an opportunity to connect and support each other with “Planet of Triumphs,” an online community that celebrates all accomplishments and inspirational stories of Planet Fitness members. Free fitness training is included in all Planet Fitness memberships. 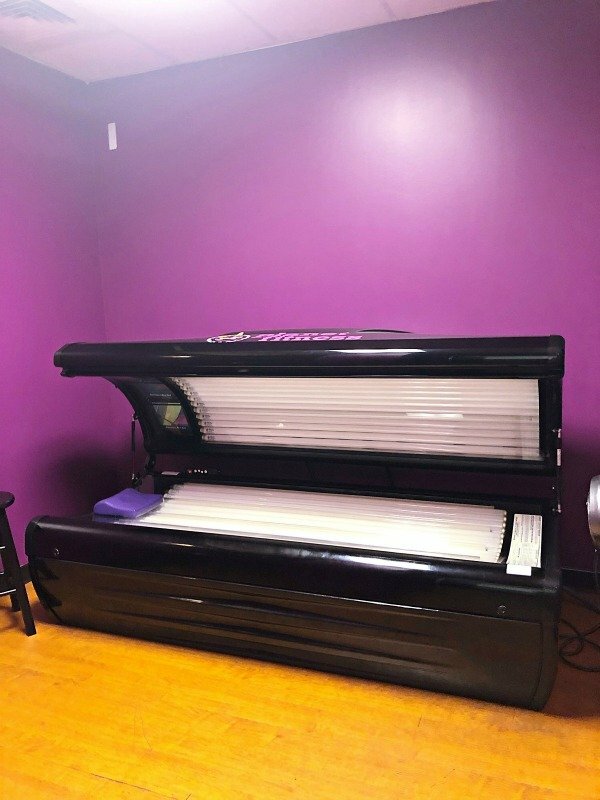 Planet Fitness offer’s brand name cardio and strength equipment, fully equipped locker rooms, flat screen televisions, unlimited small group fitness instruction by a certified trainer through the pe @ pf® program, and much more. From January 21-25, 2019, when you join Planet Fitness, you’re eligible to receive a free LG smartphone when you sign up for one month of wireless service and enroll in an auto-renew mobile plan. Click Here for Details. So It’s time to grab a workout buddy, score yourselves a new phone, and stop saying you’re going to start working out. Put your money where mouth is, because it’s time to get up off that couch and DO IT! If a FREE phone isn’t enough motivation, I don’t know what is! Free phone offer is available when you pay $50 for the first month of service and enroll in auto-renew. Service may be changed or cancelled after paying for one additional month with auto-renew. Service includes talk, text and data. No annual contracts or credit check required; service subject to certain terms. See order page for complete and current offer details. Purchase requires a valid credit card or debit card with verified billing address. Gift cards cannot be used. State and local taxes are included. Shipping costs may apply. The offer, terms, device and plan are subject to change. Service may not be available in all markets. Rules and other restrictions may apply. Void where restricted or prohibited by law. Limited time offer and only valid in the United States. Available while supplies last. The AndroidTMrobot is reproduced or modified from work created and shared by Google and used according to terms described in the Creative Commons 3.0 Attribution License.